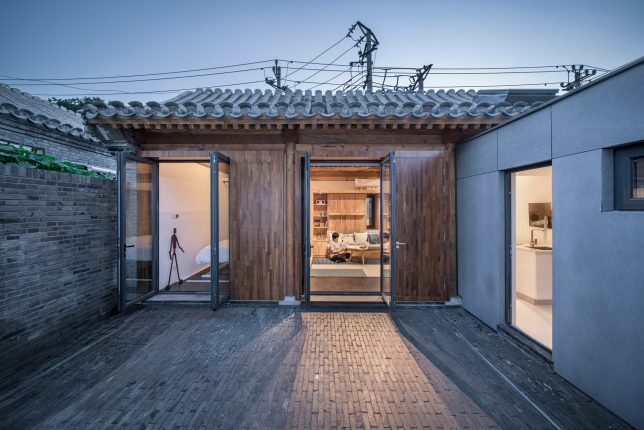 Set in a traditional Beijing hutong, this cozy futuristic house has a shape-changing layout and employs construction techniques available for download on WikiHouse, an open-source architecture platform. 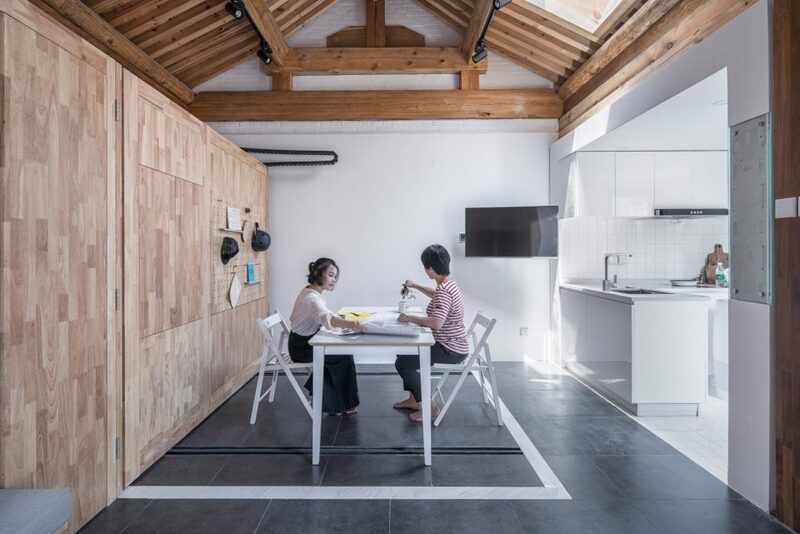 Though there is some outdoor space as well, the footprint of the home itself is just over 300 feet, making it tiny even by most city-dwelling standards. The existing structure was stripped of its sagging roof and interior partitions then retrofitted with a modular system of moving walls and folding furniture. 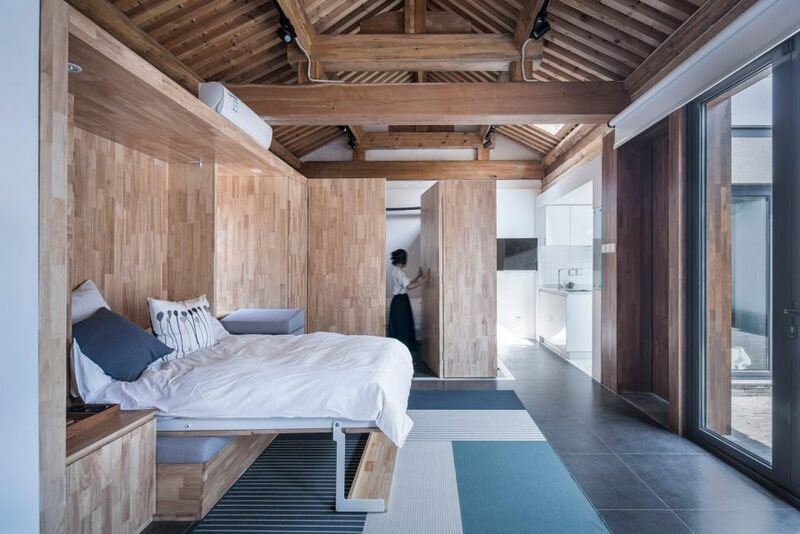 Beds fold up and partition units set on tracks can be moved around to create bedrooms and work spaces. Other smart controls let users manipulate lighting, curtains and appliances. 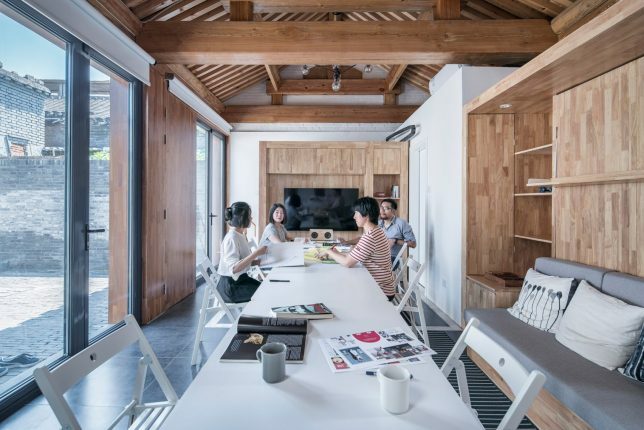 Despite all this technology, the place remains warm and inviting — it has a Modern look but not the coldness that can come with high-tech aesthetics. The more futuristic-looking extension, though, is materially differentiated with the original wood structure. 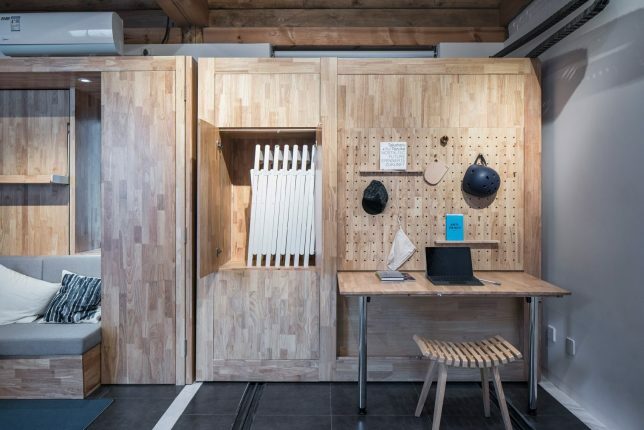 Templates from the open-source WikiHouse system were downloaded to help fabricate slotted wood components using computer-driven milling machines. This allowed the architects to keep costs down, save on construction speed and reduce noise from conventional on-site assembly. 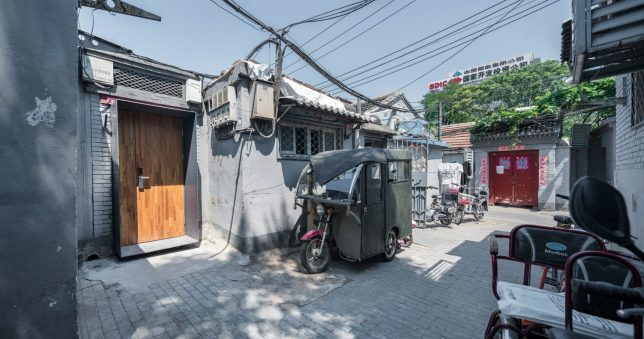 In the end, the house manages to look contemporary but also to fit into the historic character, winding alleys and quiet life of an old hutong. 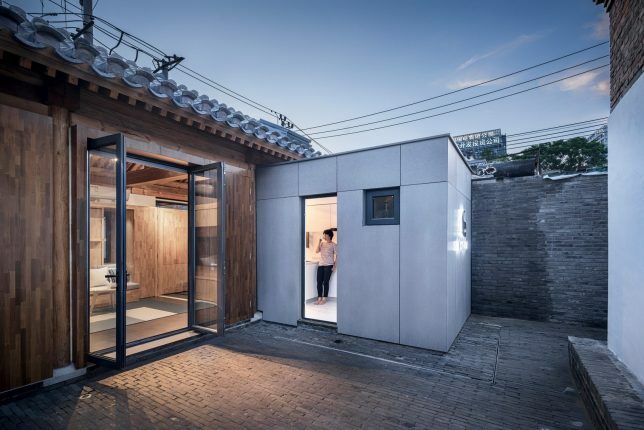 “Compared to many futuristic designs, this tiny house is nothing close to futuristic at first look,” say the architects, but “its humble appearance” conceals a “user-adaptive interior [that] may reflect something about the future in the ancient capital.